NASCAR is more popular to bet on than ever. Don’t believe the noise that says nobody bets on the sport anymore. This is simply a misnomer. The sport may be down in TV viewership but that’s no surprise. Most of the major sports are down in viewership especially the NFL which has taken a big hit in the last year due to political fallout from the national anthem and other factors. TV viewership is cyclical, it comes and goes. This NASCAR season is on pace to break attendance records and NASCAR fans everywhere are packing the stands from week to week. NASCAR hit the springboard just after Dale Earnhardt’s untimely death at the Daytona 500 in 2001. It was then that bookies saw an enormous rise in the overall betting popularity of the sport. Since Dale’s death, the rise of stars such as Jeff Gordon, Tony Stewart and Danica Patrick have catapulted the sport into popularity right there with the NFL and MLB. It is very difficult to compare NASCAR to any other sports simply for the fact that baseball for example has a season with 162 games. Of course the attendance will be higher. The NBA has a schedule of 82 games per year. The NBA venues are much smaller than a NASCAR race, some of which can seat as many as 350,000-500,000, I.E. Indianapolis Motor Speedway-(The Brickyard 500). The marketing gurus behind NASCARS image have done a magnificent job. They deserve a lot of credit for placing this sport directly on the same playing field as all of the major sports. The offshore sportsbooks have taken advantage of the popularity and they are now offering every way imaginable to bet this sport. 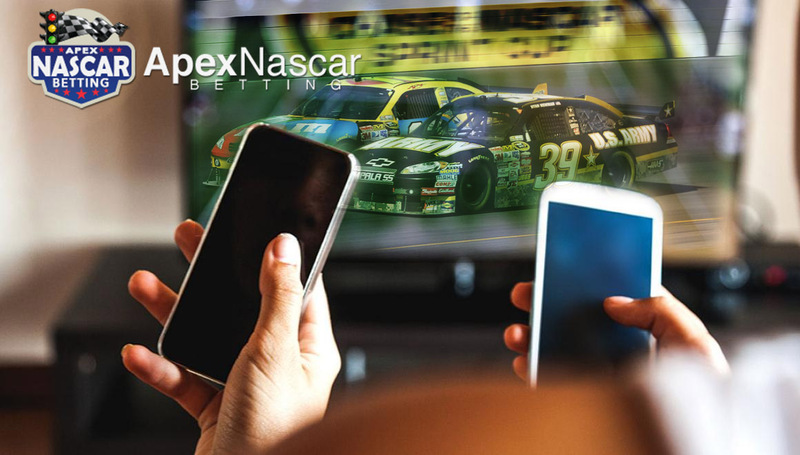 If you are someone that loves to bet on sports and you love NASCAR, then there isn’t a better time than now to jump in and have some fun every Sunday. Most bettors have found that betting on head to head matchups is even a better way of betting than wagering for a straight up winner. Picking a straight up winner in any race can be difficult. This sport is very similar to that of golf or tennis. NASCAR racing involves individual drivers that dictate their own destiny. Now, every driver in almost every race has a teammate out there racing as well. This is how NASCAR works. Take for example Childress Racing, the drivers on the team consist of Austin Dillon, Ryan Newman, Ty Dillon and Daniel Hemric. They all look out for each other but they for sure compete against each other. Every driver that qualifies for a race, intends to win the race. They are competitive people and often a race will come down to who has the better car, the better pit crew and the better team drivers. This makes the head to head matchups more predictable than betting on a single driver to win the entire race. It’s fun to bet on your favorite driver but here is the problem, as a bettor you can’t possibly control what other drivers do or mechanical failure, so to make up for this mitigating circumstance, you must bet on several drivers. This becomes like betting on roulette! Who knows who will win the race? So many what ifs. The safe way to go with NASCAR is head to head matchups. You are betting that one driver will beat another and the good news; you can bet as many head to head matchups as you like. Make sure your bookie offers head to heads and give it a try. You will probably never want to bet any other way. If you know your drivers, you can win a lot of money. Have fun betting on NASCAR the rest of the season.